This floor plan, the Mila does not become available very often. 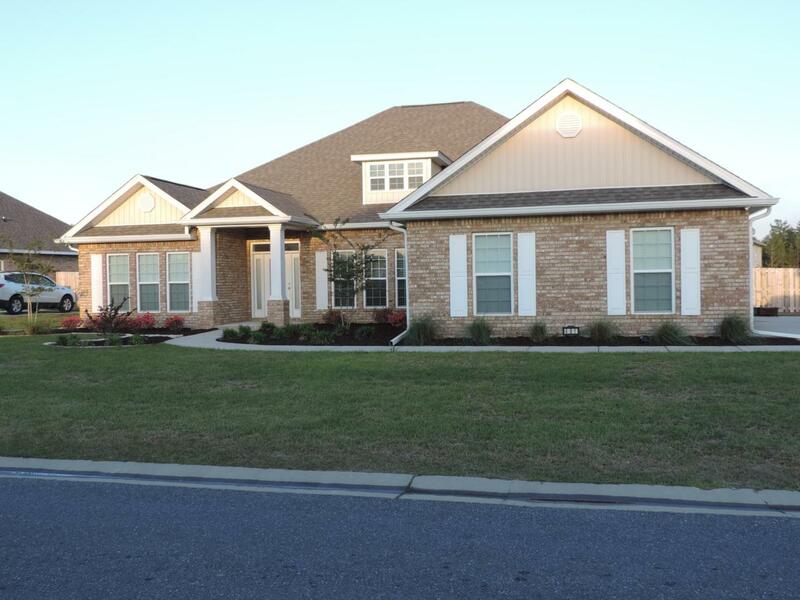 This lovely all brick home features 4 large bedrooms, 3 bathrooms, a large Great Room, living room, and formal dining room. 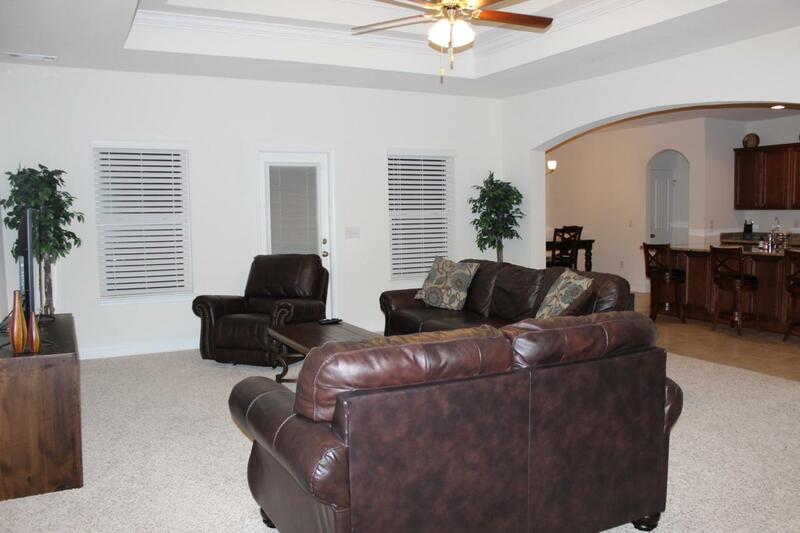 Upon entering this gorgeous home you can't help but notice the spacious open feel throughout. From the foyer the living room is to the left and perfect for a study as well. To the right there is a large formal dining room to host family or for a dinner party. The Great Room is truly that, with a soaring double trey ceiling the largest of furniture fits with ease and still allows plenty of open space. The kitchen features an upgraded gourmet kitchen with built in oven and microwave as well a separate range top. A large island is great for prep work, serving area or a quick meal. All counters are granite.Adjacent to the kitchen is a family dining area perfect for and roomy enough for any meal. The Master Suite is just that with a large bedroom allowing for large bedroom furniture and accented with a double trey ceiling itself. Also a door from the Master opens to the covered patio. The Master bathroom has a double sink vanity, separate water closet area, soaking tub, large tiled shower with seat and glass enclosure as well as a massive walk in closet. The other side of the home features three bedrooms, two which share a Jack and Jill bathroom and a separate additional bathroom along with the laundry room. There is a side load garage to give the front of the home a clean line. Adding the amenities that Redstone Commons has, such as pool, BBQ area and walking paths to name a few this is a perfect package. 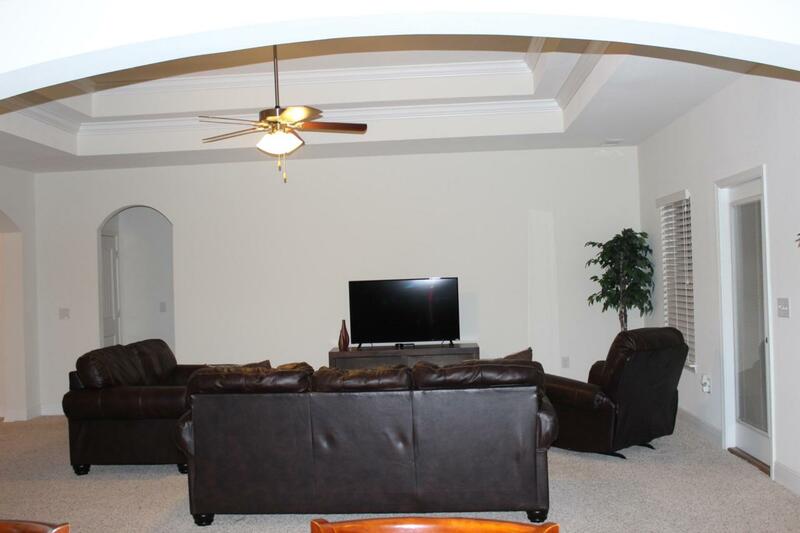 It is across the street from school, close to shopping and dining and a short drive to all the local bases. 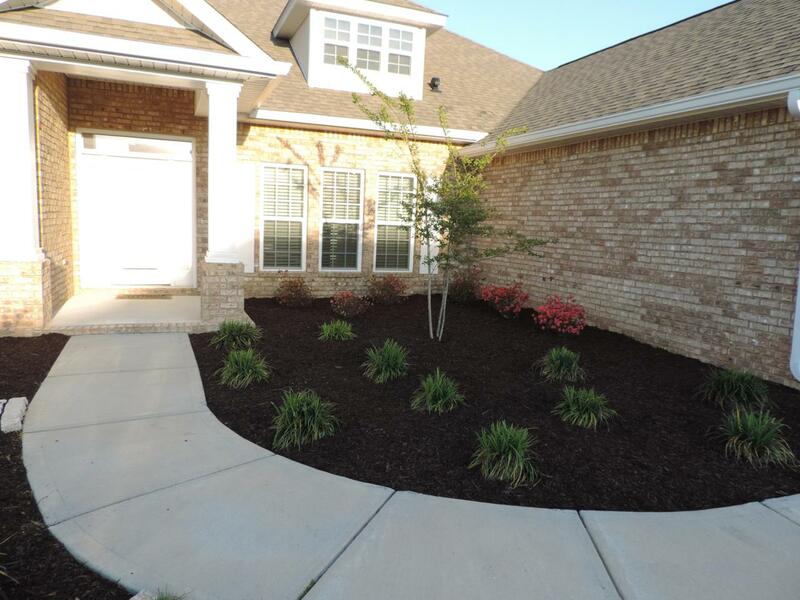 You owe it to your self to check this lovely home out today.